As of 4th January 2011, all vehicles that emit 100g/km or less of CO2 and that meet the Euro 5 standard for air quality will qualify for a 100 per cent discount from the Congestion Charge. The most popular smart models – the cdi diesel and mhd petrol - comfortably meet the criteria to be eligible for the £8 discount. When both are fitted with softip transmission, the 54bhp cdi emits just 86g/km CO2 and the recently revised 71bhp mhd produces 97g/km CO2. 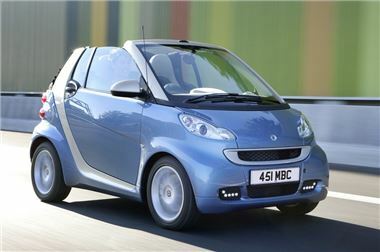 Customers of either smart who commute into the congestion zone can expect to make a saving of up to £2,500 per year. To qualify for the discount owners will need to register with Transport for London (TfL) and make an annual £10 payment per vehicle. Another review will be made in 2012 as to whether Transport for London wishes to lower the threshold even further due to the likelihood of increased electric vehicle production, such as the forthcoming, zero-emission smart electric drive.